Introducing Daisy our new (old) dinky doughnut truck! 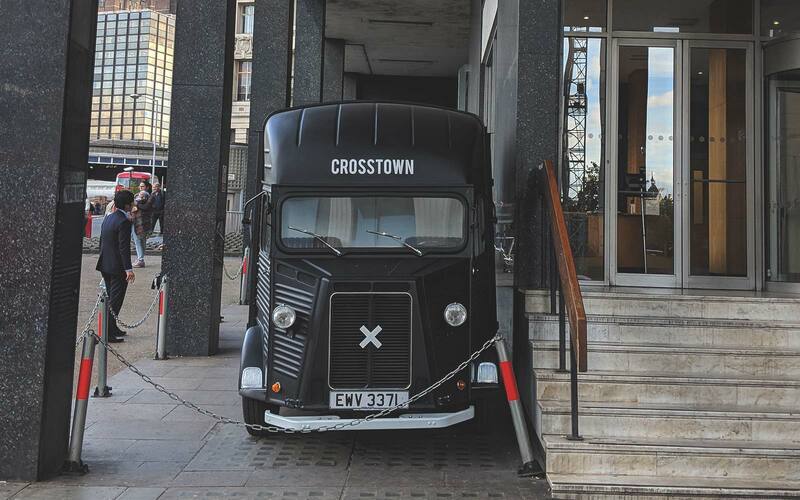 She’s a real beauty – a fully restored 1973 vintage Citroën HY van. 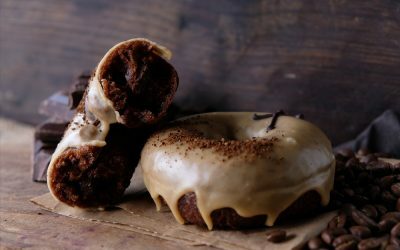 We’ve given her a full makeover – a nip-and-tuck, spray tan a full 90-day detox body cleanse – she’s now ready to serve up fresh doughnuts daily at her new spot right outside Waterloo station. Daisy is the baby sister to Dorothy, our 1952 long-wheel base HY van who you can find at Spitalfields Market, just off Lamb St. 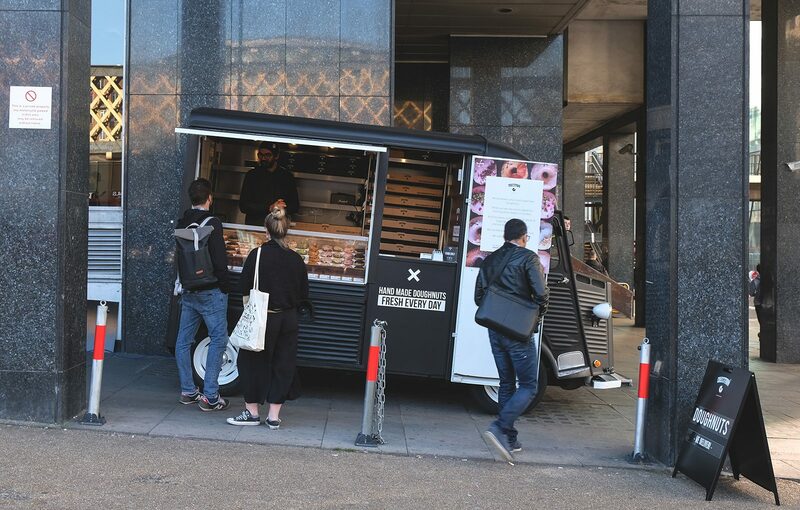 Originally designed at the end of the second World War, HY vans were built with a classic, utilitarian look, sturdy low flooring and strong corrugated side panels – perfect for conversion into a Crosstown doughnut truck! We’ve maintained many of the original features whilst giving her a Crosstown makeover. 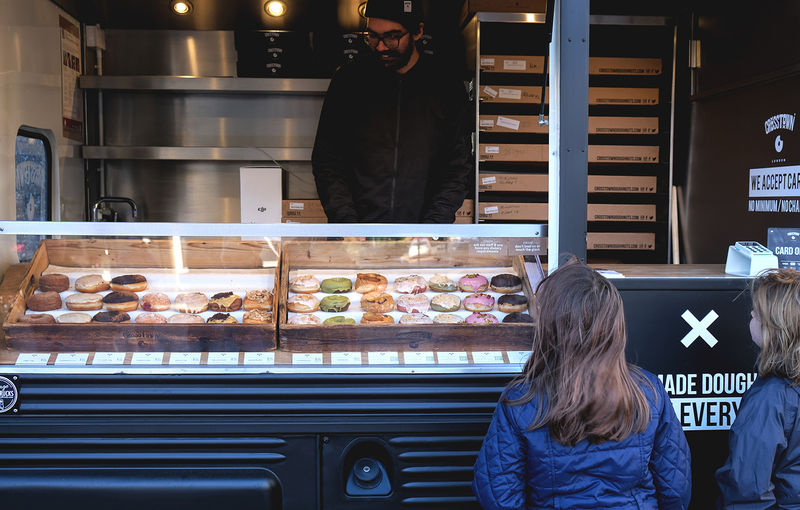 Daisy will be a cashless truck, serving our full line-up of classic & seasonal doughnuts, available individually or as part of a box. We’ll be open 7 days a week from 8am to 7pm on Monday – Friday, 10am to 7pm on Saturdays and 10am to 6pm on Sundays. You can find Daisy here, directly outside Waterloo station on the corner of Cab Road and York Road. 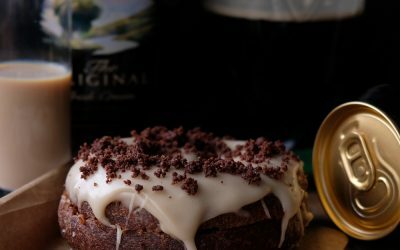 Want to meet older sister Dorothy? You can find her here, serving up fresh between 930am and 6pm Monday -Friday, 1030am to 5pm on Saturdays and 10am to 5pm on Sundays. Get Crosstown news delivered straight to your inbox, once per month. No spam, we promise!